Stop – misusing, overusing and abusing your core muscle. Look – are you sitting on top of both sits bones, with your hip socket slightly higher than your knee? Listen – to your Psoas as the messenger of core integrity. How do you nourish yourself? Misuse – we misuse our Psoas when our pelvis is not balanced. Sit with equal weight on both sits bones, stand on both feet, begin every exercise and stretch from a balanced pelvis. Overuse – when we engage the Psoas for muscular support (ex: using it as a hip flexor) we overuse and overdo. Abuse – happens when we are not listening to the core signals of misuse and overuse. Stimulate new neuro-pathways – vary your movement & exercise EVERYDAY ~ PLAY! Liz Koch is an international educator and author who seeks to dissolve the objectification of “body” in order to re-conceptualize human beings as biologically intelligent, self-organizing, and self-healing. 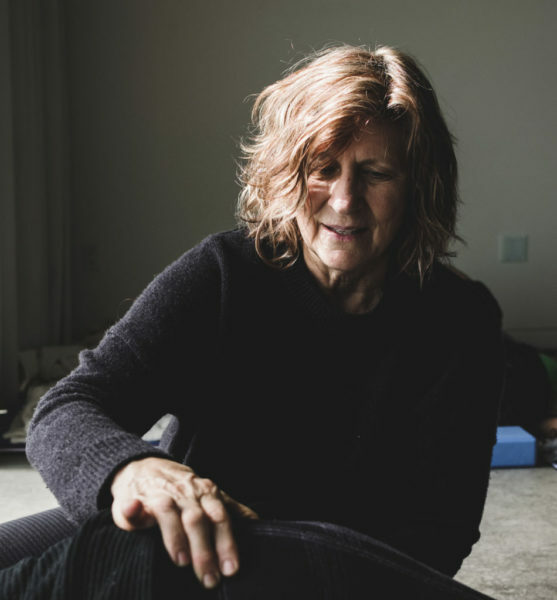 Employing biomorphic and embryonic paradigms, Liz redefines psoas as smart, expressive tissue that is both elemental and universal. Core Awareness fosters core integrity and self-efficacy as creative and expressive human beings. Here at Core Awareness you’ll discover new ways of understanding the psoas. In addition to the blogs there is an educationally rich sourcing free for the taking. Explore my videos, articles, podcasts, interviews, FAQ’s and community links and let yourself go wild!